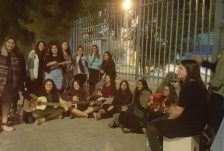 Rosh Chodesh Kislev brought a flurry of activity and good news to Midreshet Lindenbaum–Lod. 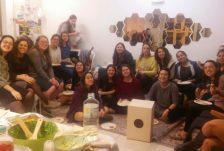 A new student joined the midrasha, and the number of participants in our beit midrash for local women reached 30. 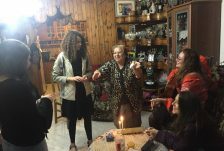 There was also a fantastic turnout of 53 twelfth graders on the first of a series of visiting days, which we trust heralds a high registration for the coming year. 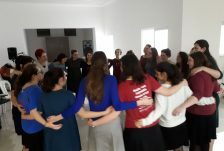 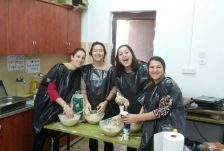 In honor of Chanukah, there were special classes and events, including a tiyul to Jerusalem in the footsteps of the Hasmoneans and parties at the girls’ volunteer placements. 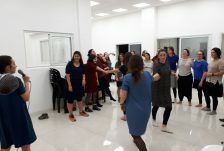 Dancing and singing marked the Midreshet Lindenbaum-Lod party on the first night of Chanukah, following a singular candlelighting experience at the entrance to their building, a contagiously-exciting event which drew the girls’ neighbors to the festivities like the proverbial moths to a flame. 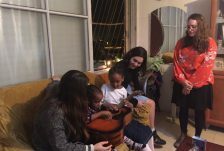 In keeping with the midrasha’s sense of responsibility to the community at large, Midreshet Lindenbaum-Lod students also went out into the community of Ramat Eshkol, splitting into groups and visiting lone pensioners, families in need and families of Ethiopian descent. 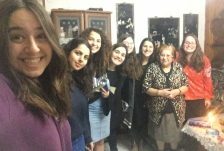 Later on that evening, they were treated to a shiur and a delicious home-cooked Chanukah meal at their rosh yeshiva Rav Udi’s home. 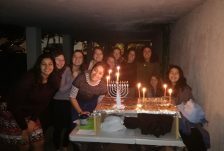 On the final day of school before Chanukah vacation, the girls participated in an inspiring, uplifting women’s tefillat Hallel, followed by lectures by special guests. 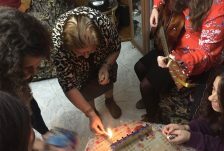 On behalf of the Lindenbaum-Lod students and faculty, OTS wishes you a happy, warm and light-filled Chanukah.